Most of us want to live a more healthier lifestyle because we know the benefits that come from it. For example, more energy, confidence, and a slimmer body. We are already aware that cutting out salt can help decrease our blood pressure numbers. We are also aware that cutting out carbs is important too. By carbs we mean your sweetened with sugar beverages like soda and orange juice. Also, foods like white bread, white rice and pasta, sugary yogurt and cereal, and commercial salad dressings. By staying away from prepared food and fast food you are doing your body some good. Also, by starting to cook at home you can better control the amount of salt and sugar that is in your dishes. However, what about some steps you can take that have nothing to do with diet or exercise? To often we read posts about cutting out carbs, salt, and sugar from our life and adding in more exercise and vegetables. While doing this is very important, there are some simple steps you can take that aren’t directly related to diet or exercise. We believe the key to making lifestyle changes is to keep the steps simple. This way you won’t get discouraged. If you haven’t visited your primary care physician in a while, it might be time to make an appointment. Having a good relationship with your physician is important. This is the person who will know you best in terms of your lifestyle and health. They can assist you with tools to make your life a more healthier one. In addition, they can further tell you steps you can take to reduce your risk of heart disease, stroke, etc. Making an appointment is a simple step you can take to discuss your progress and goals for your health. Write down a list of questions and concerns that you have before your appointment. Bring a close friend or family member with you as they can further help you by providing support during your appointment. Take notes about what your doctor says, or ask a friend or family member to take notes for you. Learn how to access your medical records. For the most part you should be able to access these online. By getting access it will re-sure you that you can keep track of test results, diagnoses, treatments plans, and medications and prepare for your next appointment. Ask for the doctor’s contact information and their preferred method of communication. This will make you feel more at ease that you can contact your doctor and not have to make an appointment unless it’s necessary. Have more questions but worried to ask your doctor? Remember that nurses and pharmacists are also good sources of information. Not sure what things to discuss or ask your doctor? Here are some helpful answers: Bring up any symptoms you may be having. Examples could be coughing, frequent urination, back pain, sleep problems, side effects from new medication you have been taking, etc. Ask your doctor what testing you need for any symptoms that be related to injury or health conditions. 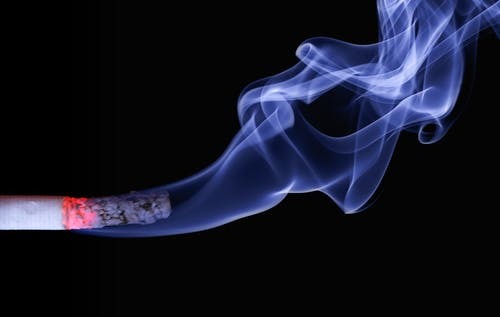 If you have already quit smoking, good for you! If you have never started, that’s great too! Quitting smoking is one of the best things you can do not only for your lungs, but nearly every organ in your body. Smoking harms your heart, blood vessels, eyes, mouth, reproductive organs, bones, bladder, and digestive organs. It’s important to realize that smoking is the main preventable cause of disease and death in the United States. Not only will quitting tobacco improve your health, but will add money to your wallet. In most states, the average cost of a carton of cigarettes is between six and eight dollars. However, by living in New York it will cost you an average of $12.85 per carton. So put down those cigarettes and cigars and start reaping in the benefits of quitting. While quitting to smoke is not exactly simple, it can be done. There are many options out there for someone wanting to quit. For example, stopping cold turkey, behavioral therapy, nicotine replacement therapy, medication, and combo treatments. Picking the right plan for you is the plan that you know and believe you can stick too. If you’re afraid to stop cold turkey, you can try nicotine replacement therapy. This is a common method of quitting smoking cigarettes. This form of therapy provides a low level of nicotine without the added chemicals that tobacco has. This is much more easier to kick cravings in subtle way, much better than cold turkey. Even though a lot of people try to do cold turkey, most people can’t break the habit without turning to something else. Nicotine Replacement Therapy is available in different forms such as gums, sprays, patches, inhalers, and lozenges. By using a combination of NRTs can significantly increase your chances of success compared with using just a single product. Most of us love to sleep in on the weekends, but did you know not getting enough sleep every night could be harmful to your mind and body? By getting enough sleep you’re already one step ahead towards improving your memory. Getting enough sleep allows you to learn better throughout the day, thus improving your memory. It also aids in relieving stress. 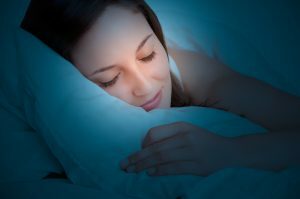 Even though getting a lot of sleep does have a correlation with weight gain if you’re not moving enough throughout the day, but if you want to lose weight skimping out on a good nights rest could be harmful. Adults should aim to get between seven-to-nine hours of sleep. Children and teenagers need even more. Finally, another important thing to note is a regular sleep schedule is good for the brain. So this means trying to get up and go to sleep at the same time regardless if it’s the weekend or a week day. Getting enough sleep is known to help prevent cancer, reduce inflammation, makes you more alert, and may even reduce your chances of getting depression. Increase your exposure to bright light during the day – By increasing your exposure to natural sunlight or bright light during the day helps keep your circadian rhythm healthy. This improves your energy levels during the day, as well as nighttime sleep quality and duration. Reduce your blue light exposure during the evening – In other words, try to stay away from tablets, laptops, or smartphones late in the evening. They actually trick your brain into thinking it’s daytime. This is due to its impact on your circadian rhythm. Blue light reduces the sleep hormone Melantonin and prevents your body from relaxing and getting into a deep sleep. Don’t consume caffeine late in the day – While this may be obvious, we thought we should mention it. Love coffee or soda? Well drinking them late in the day stimulates your nervous system and may stop your body from naturally relaxing at night. Nonetheless you will up urinating a lot during the sleep, further hindering your sleep. Reduce the amount of long day naps you take – Short power naps can be beneficial, but long ones? Not so much. These can confuse your internal clock, meaning that you may struggle to sleep at night. Wake up and fall asleep at the same times – We already mentioned this above, but by going to sleep and waking up at the same time consistently, you are aiding your long-term sleep quality. Which means longer and deeper nights rest for you. Try to take Melantonin – If you just want to take a supplement and call it a day, take Melantonin. Melatonin is an very popular sleep aid supplement. Melatonin is a key sleep hormone that tells your brain when it’s time to relax and head to bed. Pretty cool, right? Don’t consume alcohol – Consuming alcohol has been known to cause or increase sleep apnea. This can greatly hinder you from getting a good nights rest. Adjust your bedroom environment – This could include rearranging bedroom furniture and reducing surrounding noise level. Set the temperature of your bedroom – Setting your bedroom temperate colder temperature such as 70 degrees or below should be able to help you fall asleep better. By doing this you’re reinforcing your body’s natural instinct to sleep. Why? Because as the night approaches naturally your body’s temperature starts to fall signaling it’s time to slow down and get some sleep. If you were to sleep in warmer temperatures you would be stopping this signal. So there you have it, three simple steps you can start taking to improve your lifestyle. The key is to build on small successes. This will help you build confidence so you can go ahead and achieve larger successes over time.